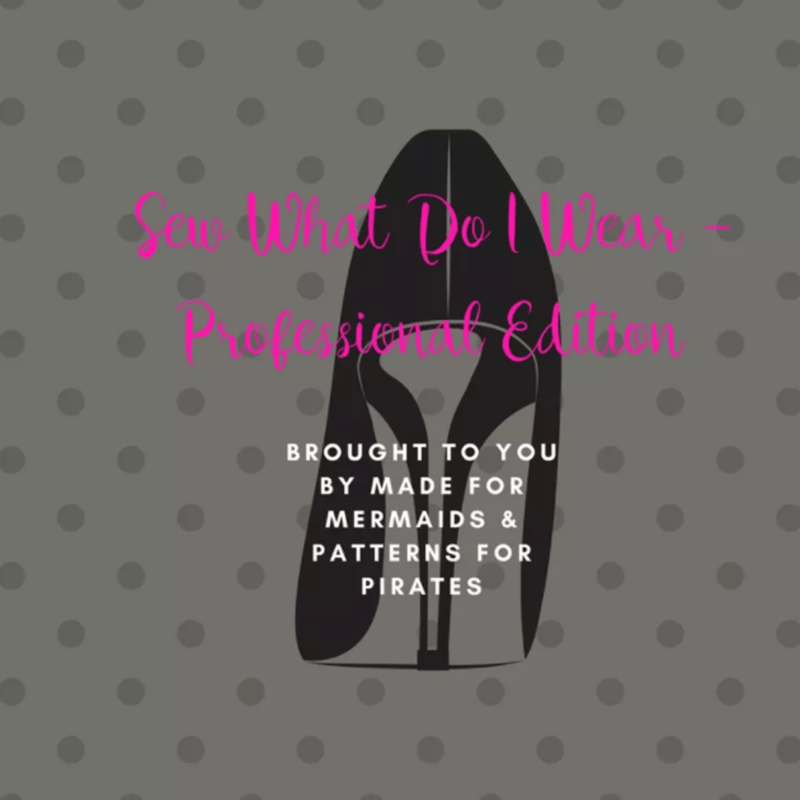 I am excited that today is finally here, because I get to share my creations for the Sew What Do I Wear – Professional Edition hosted by Made for Mermaids and Patterns for Pirates. Each day the bloggers use Made for Mermaids or Patterns for Pirates patterns to create their Professional Outfit. If you have haven’t seen their other blog tours you can check out the round up posts here Holiday Edition, Valentine’s Edition, and Vacation Edition. Be sure to read all the way to the end of my post to see the list of fabulous bloggers participating in this blog tour. 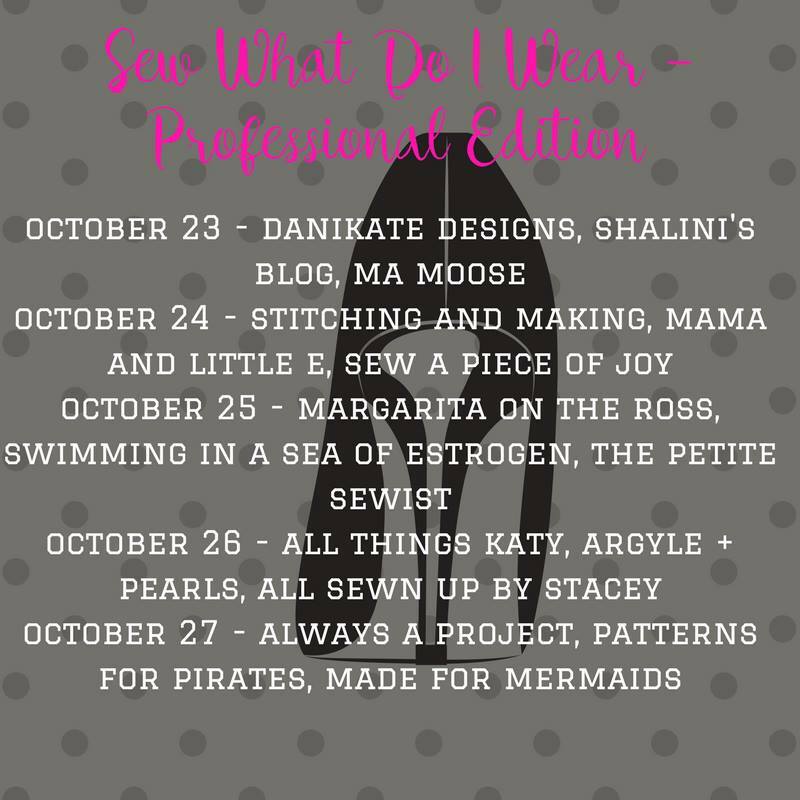 Made for Mermaids and Patterns for Pirates are back with another Sew What Do I Wear Blog Tour! 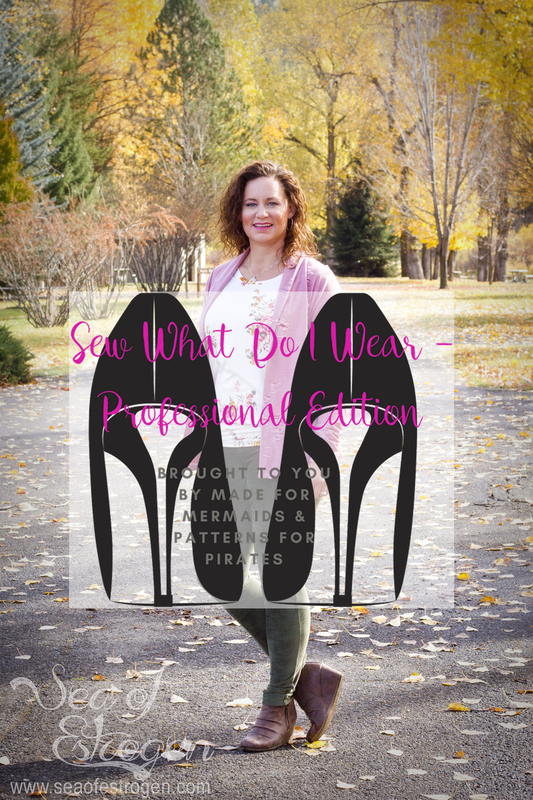 This is the fourth Sew What Do I Wear Tour, and the theme is perfect – Professional Edition! There are always tons of questions in both the Made for Mermaids and Patterns for Pirates Facebook Groups asking what patterns to use to create amazing work-appropriate clothing. As a result, the lovely ladies at M4M and P4P decided to host this blog tour. I have already seen many great, inspiring ideas! I work for a company that manufactures lawn and tree care equipment for the rental industry. We have a very casual, relaxed office atmosphere where jeans and t-shirts are perfectly acceptable. I do wear jeans most days, but I try to wear nicer tops and sweaters. I am responsible for design and marketing, and I work to make the arrangements and organize our trips to industry trade shows. As a result, I am in contact with other professionals and need to “spruce it up” from time to time. All the patterns I used to create my ensemble are from Patterns for Pirates. I wanted to make items that could be worn together or on their own, and it was absolutely essential they worked with items already in my closet. The SOS Pants pattern is one of my favorites, and I have perfected the fit for me, so it was a no brainer. I already owned the Pumpkin Spice Dolman Top, but I hadn’t ever made it, so I chose it as my top. To round out the outfit, I added the Grandpa Cardi. The SOS Knit Pants are an immediate pattern with tons of style. The pattern includes skinny or straight leg options, and both options include elastic waistband, back yokes, and front and back pockets. Top stitching finishes off the pants with style and extra detail. I chose to use olive colored knit corduroy from So Sew English Fabrics to create my pants. The fabric is super soft, and it was dreamy to work with! I bought the Pumpkin Spice Dolman top a long time ago, but I have never taken the time to put it together and make myself something. This blog tour was perfect motivation for me to get it out and made. It is a beginner knit pattern, and it has tons of style for a soft comfortable shirt. 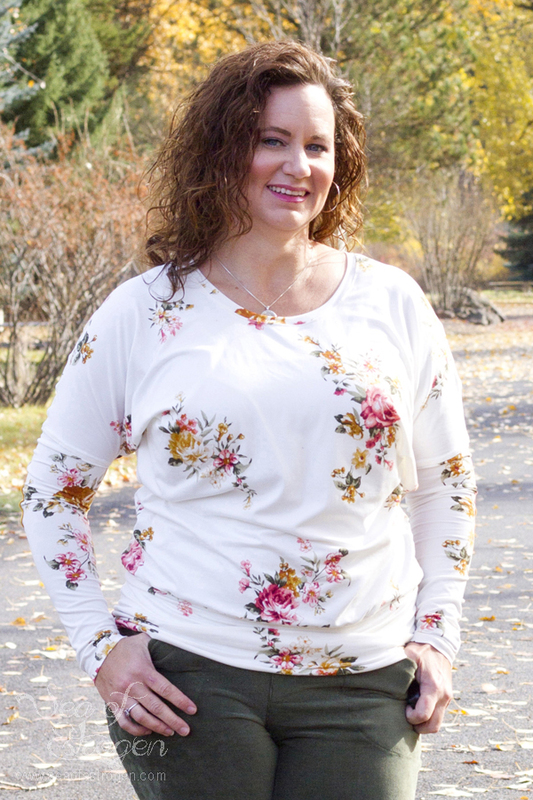 The PSD is a loose fitting dolman top with fitted lower sleeves. It is packed with options, including elbow patches. I made the long sleeve, banded option with elbow patches. I will be perfectly honest – I am not sold on the elbow patches, but I’m going to leave them for a while to see if they grow on me. 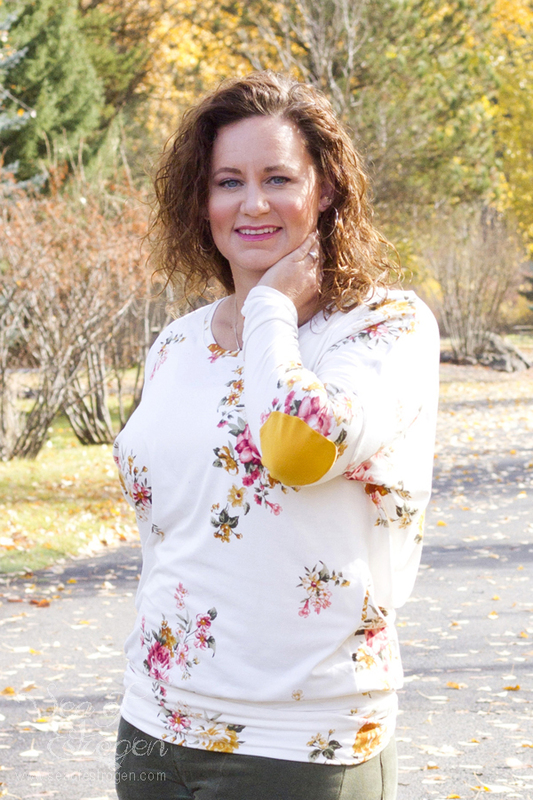 This floral double brushed poly, also from So Sew English Fabrics, was a perfect choice to make this top. I love the way it fits and how comfortable it is! I don’t know what took me so long to make the Grandpa Cardi, but this is only the second one I’ve made. Depending on the type of fabric used, it can be a cozy, slouchy sweater or a more stable, structured jacket. 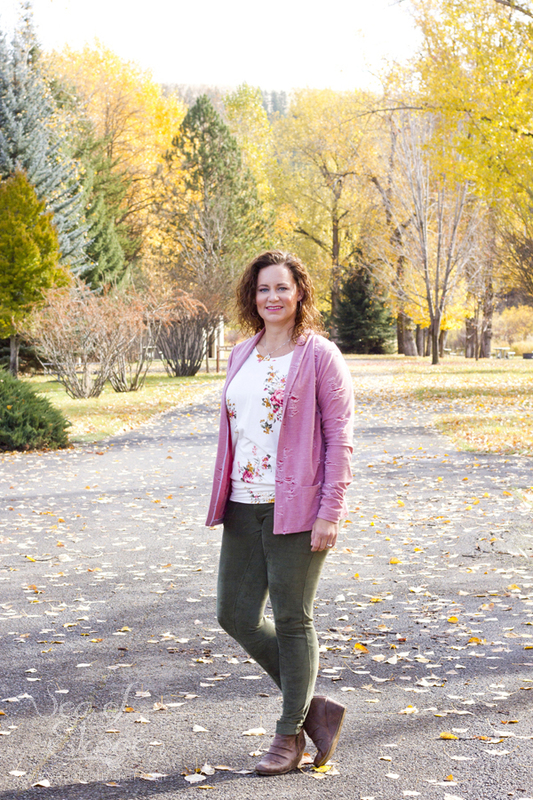 The Grandpa Cardi is another beginner-friendly knit pattern, and it includes four sleeve options and two length options. In addition, it has a traditional neckband or a shawl collar neckband option. Finally, patch pockets and elbow patches add special touches! 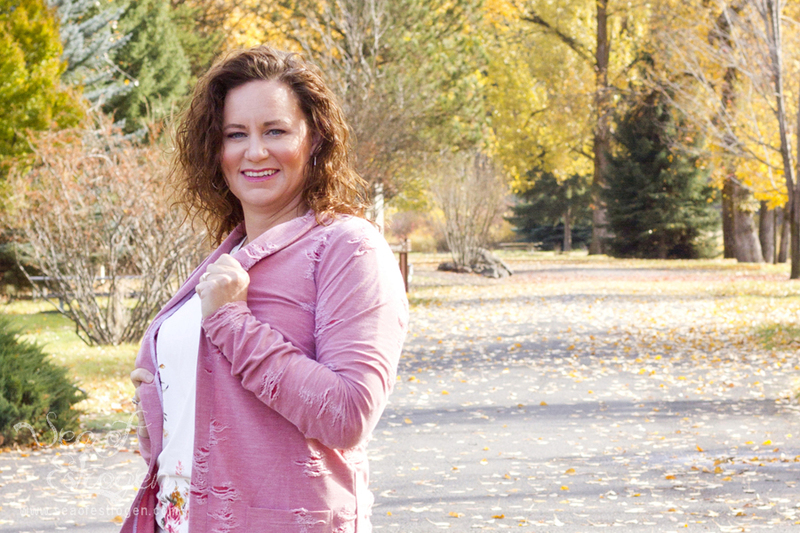 I created my Grandpa Cardi out of Jacquard Distressed Knit from Mily Mae Fabrics. The fabric I chose has more structure, so my cardi has the shape and feel of a blazer. I think it adds another touch of “professionalism” to my outfit. What I love most about the pieces I created is that each one works with items already in my closet. I can easily imagine each item paired with existing items and styled differently to provide multitudes of looks. So, there you have it, my contribution to the Sew What Do I Wear – Professional Version. Love this combo! But especially the pants. I may need to add a sage pair to my lineup! I’ve been eyeing the navy corduroy, too. It’s so so so soft and luxurious! LOVE that floral!! Everything came out so great!! Umm yes! I need to go buy some knit corduroy! Love the whole outfit! LOL, thanks! SSE has it in navy blue, too!